There he goes again. Famed anti-everything Chaz Stevens has once again erected a Festivus pole opposite a Nativity scene in Deerfield Beach, Florida. Normally he has that pole firmly parked up his backside but he drags it out every Christmas, er, Festivus, to air his grievances. And what grievances they are. He replaces that pole with one serious weed. He hates religious freedom, you see. He hates people who believe in God, peace, love and hope. And he wants to wrestle control over these things. He won’t stop at banning. We wrote about him first in 2012, when he pitched a fit as he lost a case to get the Nativity scene off city property in Deerfield Beach. Deciding to join the fray with the construction of his own “holiday” display, Stevens selected Festivus — an imaginary holiday born of the television show, Seinfeld — and put up a humble pole made of beer cans. The media just ate it up and gave Stevens all the publicity he wanted. He brought his beer cans back in 2013. He’s been back every year and each year the media darling gets such a big stage on the likes of CNN that he paints more absurdity into his “protest”. Last year, just to rankle Christians, his Festivus pole was themed gay, in order to support the LGBT movement. Forget the fact that nobody has a problem with gays celebrating either Christmas or Festivus. Stevens point was to mock, no matter how absurd his display made his statement. Christmas is evidently okay with Stevens because he perpetually uses Christmas-themed stuff on his pole, which is technically a violation of the tenets of Festivusim. The pole isn’t supposed to have any decoration because it’s “too distracting”. This year the barber-pole design includes a tip of the hat — literally — to Donald Trump. Stevens has filed for a permit to burn it down at some point (a modern Yule log?). Nothing is sacred to Stevens and he resents what is sacred to others. He tramples and mocks the beliefs of others in order to pursue a political agenda that includes religious suppression, militant atheism, and a host of radical issues that includes embracing Satanism (which makes no sense when one advocates atheism but common sense seems to be far from Stevens’ agenda). His goal is to erect Festivus poles in all fifty state capitols. You see, his fight to get a Nativity scene removed in Florida backfired. Instead of removing the scene he was told to put up his own holiday display. He was told to embrace the principle of liberty he wants to deny everyone else: he was told to express his free speech, to exercise the freedom of HIS religion. And he does that year after year. His religion is mockery, denial and darkness. With each passing season Stevens showcases his bitter monument to suppressing the ideas of others. His display, his actions and his words showcase that he’s anti-peace, anti-love, anti-Christ, anti-goodwill. He wants to take your religion — any religion — and put it in a box where it isn’t seen or isn’t heard. He wants, in his circular thinking, to make HIS religion everyone’s religion. He believes in nothing and that is what he wants to impose on everyone. Think about it. If he is successful in suppressing all religion only HIS religion will be the one acknowledged. Atheism is a convenient cloak. It is a broad umbrella which is used by political activists to hide behind. Don’t be fooled by this. Stevens likely is no atheist. We doubt he gives much thought at all to things spiritual, which many true atheists do. If he did, his actions would not support the attack on those who believe differently than him. Stevens wants several things in his quest, and little of them have to do with Christmas. He wants a society where all are held to one standard — his standard. By force. He wants religion removed from the public discourse entirely. That means not only no Christmas but also no churches. And if there are churches he wants them taxed and regulated. The State decides everything. The State is Omnipotent. He wants devotion only to the State. He desires a State that engineers everything — from sexuality to medical care to population control to private property ownership. Chaz Stevens is not about rights. He’s not about beer cans or burning poles to defy Trump. He’s certainly not about Christmas. He’s about force and denial of the human spirit. The way to combat this is to allow Stevens to put up his pole year after year. Let the contrast show between his darkness and the light of truth found in Christmas. And let the media fawn over him. Applaud his right to mock, jeer and pronounce what you believe to be silly, profane and idiotic. By his fruits he will be known. And if he does burn that pole I say we all show up. Bring marshmallows. Or chestnuts. He’s using Christmas. He is using atheism. 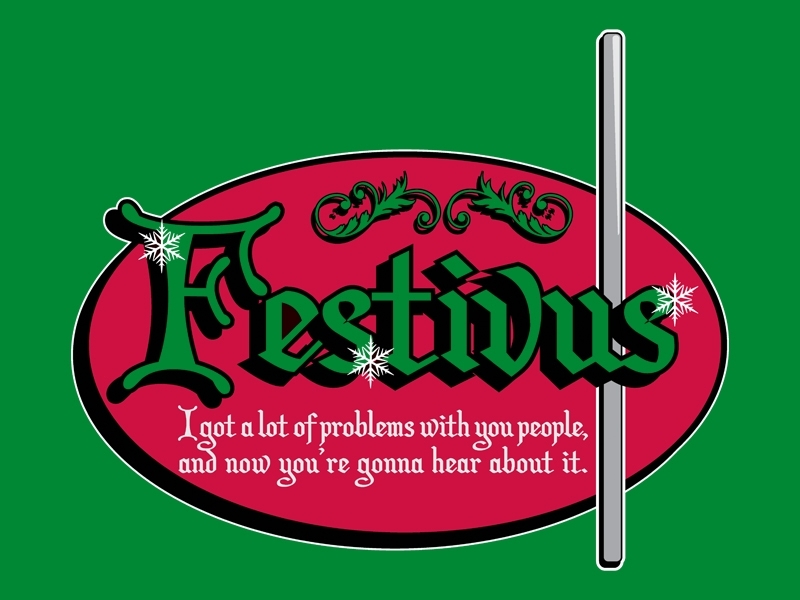 He is using Festivus. He is even using Satanism (he wanted to pray to Satan in order to stop prayers from being said at civic events and it worked). Chaz Stevens is a user who will stop at nothing to control your first amendment rights. That’s what his pole is all about. Pick any other town in America and this is not a story at all. But when your town is North Pole, Alaska and a city councilor there is legally named Santa Claus — and he advocates for marijuana — well, then every press outlet in the free world picks up the story. Let’s not get into the whole medical marijuana debate. That’s for responsible people far from the conversations about Christmas, religion and liberty. It’s just not the issue here. Let’s talk instead about this dude who calls him Santa Claus. We’ve been on his tail for years. Why? Because he’s using the name, the image and the reputation of St. Nicholas to draw publicity to himself and all of it is bad. Years ago he lived in the Reno/Tahoe area of California and he described himself as an ‘advocate for children’. Great, right? The thing is he never did much other than travel around getting his picture taken with mayors, governors and celebrities asking for donations and saying “be nice to kids”. He did this every holiday season after going to court and legally changing his name to Santa Claus. Harmless? Well, seeing his advocacy never really addressed anything and the money was never accounted for you can’t help wondering what all his efforts were really for. You decide. We think it is an irresponsible representation of the real St. Nicholas. 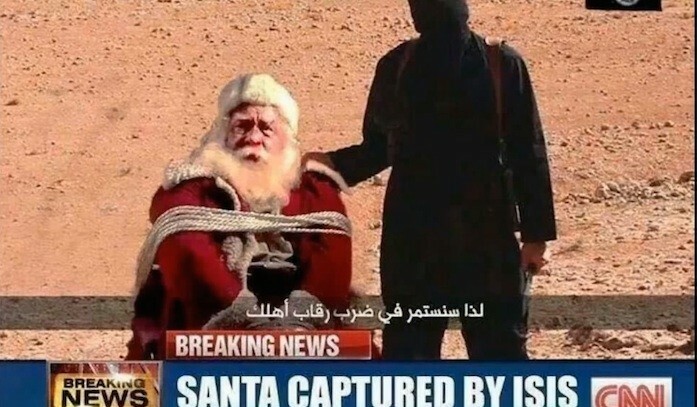 Today’s international news headlines are a good example why the careful use of Santa’s name and image is so important. 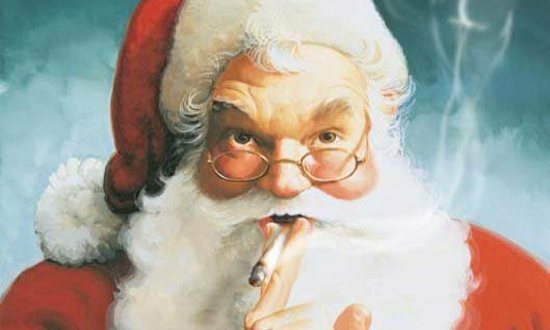 Any kid googling “Santa Claus” today is being taken to news stories showing that Santa approves of marijuana. Yes, buried in the details of the stories is the fact that this former-monk is a cancer sufferer and uses medical marijuana in his treatment. But we all know the kids aren’t going to read the story. All they will see are the headlines — here, here, here, here, here, and here. Now, set aside the arguments of medical marijuana. Think instead of the research that shows those under the age of 30 overwhelmingly think marijuana is harmless. Santa “advocating” for marijuana in a headline isn’t going to help that truth. This guy needs to learn he can be a town councilor, he can advocate for whatever he feels bests represents his constituents and that it doesn’t matter at the end of the day to anyone what Joe Blow thinks. 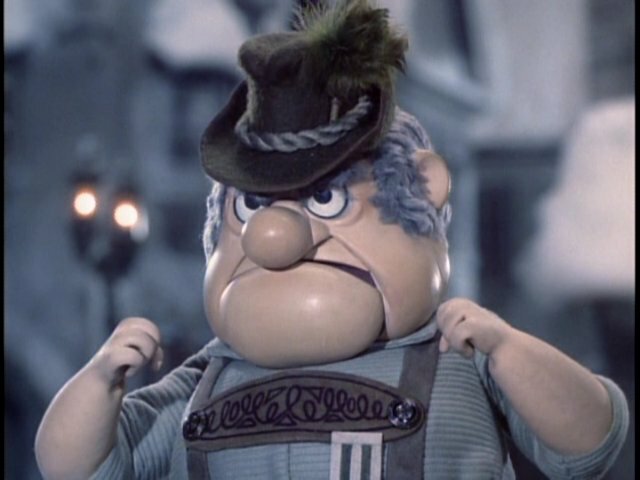 But they care what Santa Claus thinks and this guy doesn’t speak for him. He is a disgrace to all that is decent about Santa Claus — and he has been for years. Here we go: another absurd, ill-informed and sadly wrong PTA has kicked Santa Claus from school pictures at a public school in South Carolina. The reason? Because they want kids of all religious backgrounds to be included in the pictures. Santa is being replaced by a “winter wonderland” scene. Show me where Santa is in the Bible, will you? 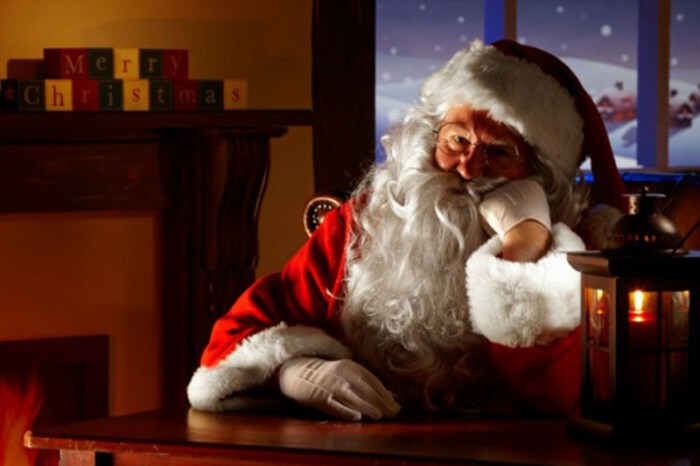 Tell me where Santa has ever given a sermon, said a prayer or uttered a religious thought. The Supreme Court LONG AGO declared Santa — and Rudolph and Frosty and other characters of Christmas — SECULAR. 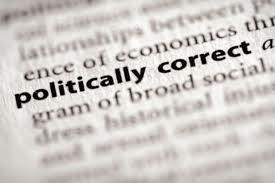 Don’t mistaken this for mere political correctness. This is BLATANT religious discrimination. What the PTA in this school is doing is saying “If it can be remotely associated with Christianity, we’ll ban it.” That’s what this is. It isn’t a War on Christmas. It is a War on Christians. Get this right. Pictures of the kids are not taken with Jesus. Not a cross either. For years they have done it with SANTA CLAUS. Now they are saying Santa is “too religious”. According to the media reports there have only been mixed reactions to this news. We don’t believe that for one second. People should be OUTRAGED. 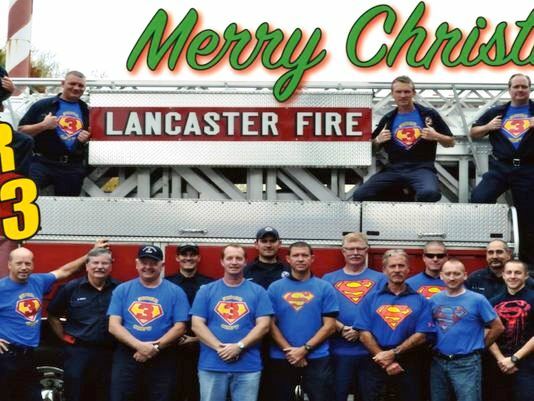 A fire fighting crew from Ohio has received disciplinary action against them for chipping in money to pay for a billboard wishing their community a Merry Christmas. Seventeen firefighters belonging to one shift, known as Crew 3 or Super Crew 3, have received punishments ranging from reprimands for the firefighters and suspensions and probationary periods for three lieutenants and a captain. In addition, a retired captain has been barred from all fire stations in Lancaster. The billboard was paid for by the firefighters, who decided that they would show “crew pride” instead of exchanging gifts. The billboard was in place from November 30 to December 15 when it was ordered removed. A city attorney determined it presented a civil liability because the “Merry Christmas” message expressed religious favoritism. Those involved are also in trouble for failing to get permission to take the picture at a Lancaster firehouse while they were on duty. Once again, the arbitrary decision of one (the city attorney) determines the fate of many proving once again that no good deed goes unpunished. After a year long study a government review reports that British traditions of Christmas are at risk due to growing political correctness. The report cites the growing influx of immigrants and refugees as causing local officials to overcompensate by doing things like changing the name of a Christmas tree to a “festive tree”. The study was headed by Dame Louise Casey, the government’s integration tsar. She said a white manager invoked the change in the name of the tree to avoid offending Asian and Muslim citizens. “What offence did he think he was causing? What did we ever think would be offensive about celebrating Christmas with a tree?” Dame Louise said. The report also says waves of immigration have dramatically changed the character of some state schools and left Brits feeling unsettled. Casey blasted local councils for “over worrying” about causing offence. She said that only by promoting “core” British laws, traditions and cultures in every ethnic community can Britain hope to integrate fully and defeat the “hate-mongers” from the far-Right and Islamist extremists who want to divide the country. The report notes that these sensitivities swing further into dangerous territory than just Christmas trees. In one case officials in Rotherham turned a blind eye to sexual exploitation of children by men of Pakistani background. 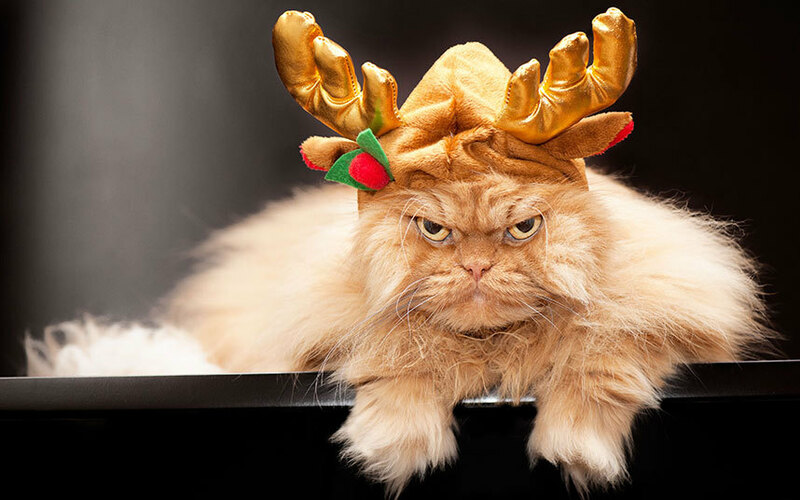 As we’ve been observing all year the UK is now the leading front in the so-called War on Christmas. 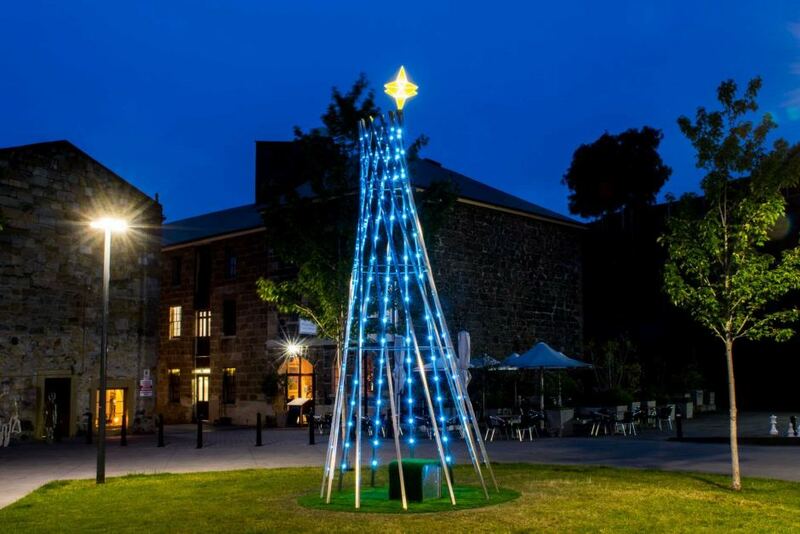 The Australian city of Hobart — a state capitol city — had a reputation for the worst Christmas decorations in Australia. Australia is big on Christmas — so this was not a good image for the city. So last year they sponsored the creation of a new city Christmas tree — and it was quickly dubbed by the public as the ugliest tree ever, becoming a joke on social media and an international embarrassment to the city. The tree was of modern art design and had zero traditional elements to it. No pine boughs, no baubles, and no star or angel at the top. It was merely a twisted frame of metal designed to allow the public to walk inside the tree and look up at the sky through it. To many who walked past the tree the thing did little to suggest it was a Christmas tree at all. As the city publicized the lighting of the tree and sent pictures to the media cries of “Where’s the tree?” were not taken seriously. Hobart, it seemed, didn’t even have the Charlie Browniest of Christmas trees. It was much, much worse. So during this off-season the city council in Hobart has taken up the issue and the debate centered on whether or not the tree could be saved and improved upon. After all, $35,000 had been spent and there was some face saving that needed to be done. So the Lord Mayor consulted some experts and presented another plan. She was laughed and ridiculed out of the chamber after proposing changes that would cost nearly double the original expense of the tree. Her answer seemed to be filling the center of the tree with a brass dome and dressing the tree skeleton with traditional Christmas elements at Christmas time. There was hope that someone in Hobart had some love for the tree. “It’s dearly loved by the traders of Salamanca and they want to hold onto the tree, they want to keep it all-year round as an architectural piece and then kept as a Christmas tree at Christmas time,” said one Alderman. But the tree is simply too hated to be saved. What will become of Hobart’s tree? Recyclers are apparently standing by. Headlines today in Germany are touting a debate between right and left wingers about the Islamic burqa — right wingers are proposing a ban on the religious garment, just as they have done in France. 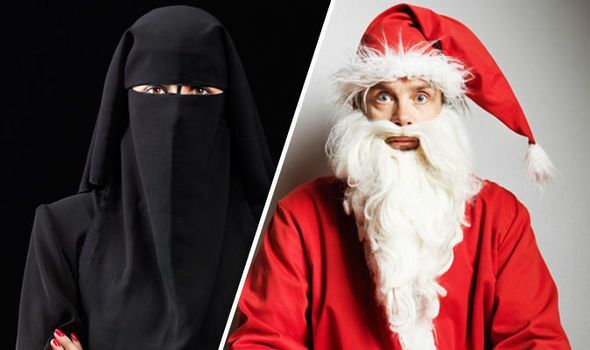 Left wingers are warning that is an infringement on religious freedom — and doing that could put in jeopardy other religiously themed clothing that covers faces, such as Santa’s beard. There are two very important parts to this story that should give Americans pause. First, in Germany Santa Claus is known as Father Christmas or “Weihnachtsmann” (Christmas man). He is not a secular figure there…he is a religious figure, as he is for many other parts of Europe. The American Santa is decidedly secular and the Supreme Court has said so. But there is no denying his sacred roots. Many other symbols of Christmas likewise are labeled secular but are clearly religious in origin. Many Americans do not know or do not acknowledge this. Second, religious freedom is at the very heart of the War on Christmas. The pundits, as we have said many times, hype it as a “War on Christmas” when really it is a fight against what some hold sacred in the public space. It is a fight against free speech. It is a fight against freedom of religion. This debate in Germany is very political and may or may not endure. But once again it highlights the slippery slope we are on when it comes to the public expression of private faith — AND the celebration of Christmas. You should worry about it. Someday your plastic Santa that lights up could be considered illegal under some law meant to suppress religious expression. It’s moving very clearly in that direction. A UK politician wants to end Britain’s tradition of roaming illuminated Coca Cola trucks because sugary drinks are contributing to childhood obesity. His remarks have caused a media frenzy in Europe. Started in 1995, the tradition in the UK is for lighted Coca Cola trucks to travel from one shopping center to another. The simple but festive tradition draws millions of fans annually and has become a signature British tradition of Christmas. “At each stop, family and friends will have the chance to take pictures with the truck as it lights up, and experience a snowy winter wonderland setting while enjoying a choice of Coca-Cola, Diet Coke, Coke Zero or Coke Life,” a press release from the company read prior to last year’s tour. The twinkling truck fleet was conceived in 1995, after one appeared on television in a wildly successful seasonal advertising campaign. We knew this day was coming. The controversies over last year’s Christmas parades are now today’s lawsuits. The Sons of Confederate Veterans, who for years have marched with Confederate flags in Christmas parades all over the South without incident, are beginning a series of court battles over first amendment free speech rights violated last Christmas when they were told to keep the flags out of the Christmas parades. The city of Natchitoches and its Mayor Lee Posey have been sued by Sons of Confederate Veterans because they were barred from displaying the flag last Christmas. Thomas Taylor, the division’s former commander, said in a telephone interview that its flag-carrying members marched and rode floats in the parade for nearly two decades without causing any disruptions. That, according to the lawsuit, is unconstitutional. 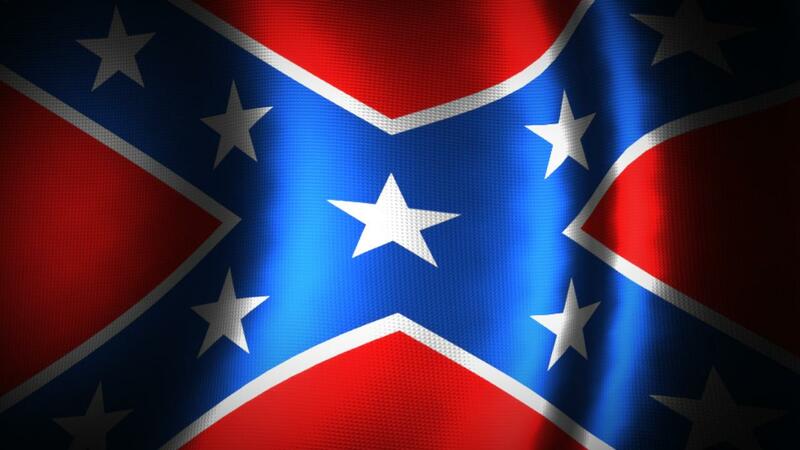 And the Son’s of Confederate Veterans are right — and should win. They take their Christmas seriously in Australia. The Lord Mayor of Melbourne is warning against sending Christmas cards without the word “Christmas” in them. Phrases like “Seasons Greetings” or “Happy Holidays” are appearing all to often on official Christmas cards sent between governmental organizations. In fact, Kavanaugh feels so strongly about it he is putting forward a motion to require the use of “Happy Christmas” in all seasonal messages going forward on official organizational greetings. The Lord Mayor backs the proposal. “If you’re sending a Christmas card it is not a season card, it is a Christmas card.” he said. It should be noted that the hubbub over Christmas cards are coming after a contentious debate over Christmas decorations in this area of Melbourne known as Moreland. Money for Christmas decorations was reallocated for what they call “Moreland Celebrations”, a nod to the growing diversity of the area and a clear move away from the emphasis on Christmas. Clearly, there is a battle over Christmas brewing in Melbourne. They call the place Iceland for a reason. It’s cold, the weather is lousy and it’s covered in ice. It is also known for its sad absence of trees. 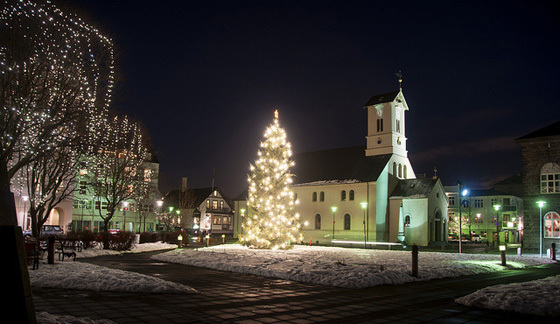 For decades neighboring Norway has shipped a Christmas tree to Iceland for Christmas. But no more. 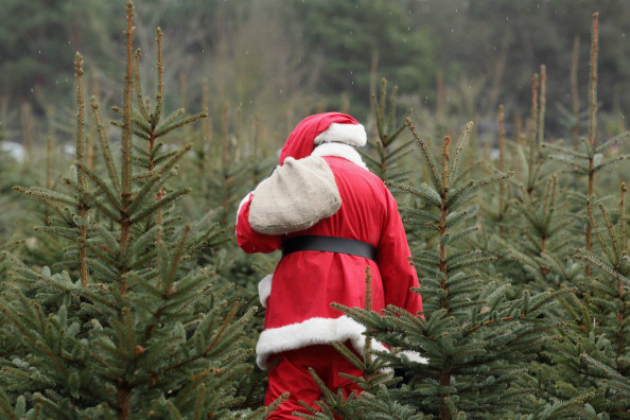 This week Norway told Iceland: no Christmas tree for you. Officials say the tradition, which has lasted since 1951, ends because it’s not worth the cost or hassle. Local residents in Reykjavik however smell a rat. Norway tried to ax the tree two years ago and a large public outcry led to a reversal of the idea. Of course, that 2014 event happened closer to Christmas. Norway has waited this year until the quiet month of July to drop the news this time. We’ll see if anyone is paying attention. Complicating matters is another tradition held dear: Oslo’s gift of a Christmas tree to London, a tradition started as a “thank you” for allied support during World War II. That tradition, Oslo officials insist will continue. Meanwhile, in tree-less Reykjavik, politicians there are saying the will find a tree somewhere. And gracious officials for Norway indicate they will crash the tree lighting party as always, even though the tree won’t be Norwegian. They’re not about to let a little thing like this get between them, you see. This is the kind of thing that has a habit of coming back later during the year. We won’t be surprised to see more to this story as Christmas approaches. 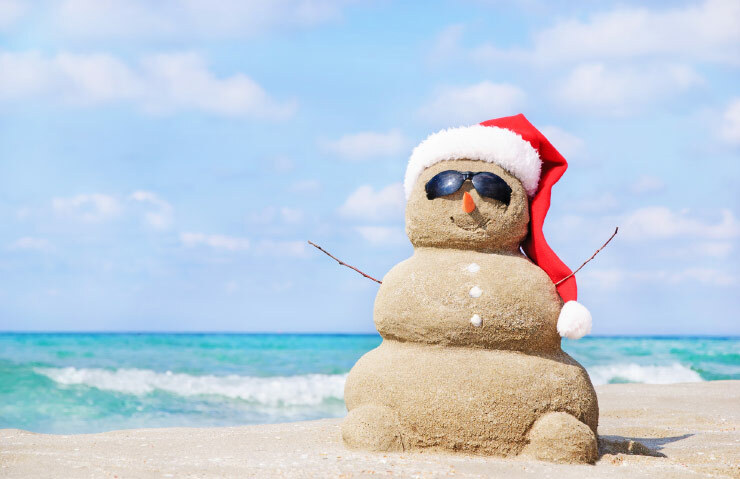 A tax payer funded guide published by the University of North Carolina at Chapel Hill accuses the term and the practice of Christmas vacation of being a “microaggression”. Microaggressions are everyday words that some interpret as causing anger or frustration in others. In other words, they are terms, behaviors or practices that cause offense. Curiously the long break between semesters at UNC Chapel Hill for the 2016-2017 academic year will last from December 17 to January 10 — thus covering Christmas as well as the New Year’s Day of the Gregorian calendar. The Gregorian calendar is named for Pope Gregory XIII. The Roman Catholic Church introduced the calendar in 1582. So far nobody seems to be too stirred up about that. It is important to note that the guide does not single out just Christmas as an offense. Golf outings, women’s shoes, the words “boyfriend”, “girlfriend”, “husband” and “wife” all are microagressive terms. To save time we’ve determined that “microaggression” as a word is offensive. An Omaha, Nebraska school board member raised eyebrows with his rant against atheists in a classic argument of whether the December off-time of students should be called Winter Break or Christmas Break. Nobody supported Meyer’s outburst — or proposal. For several years school boards across the country have grappled with how to name calendar break periods given the growing diversity of their student populations. 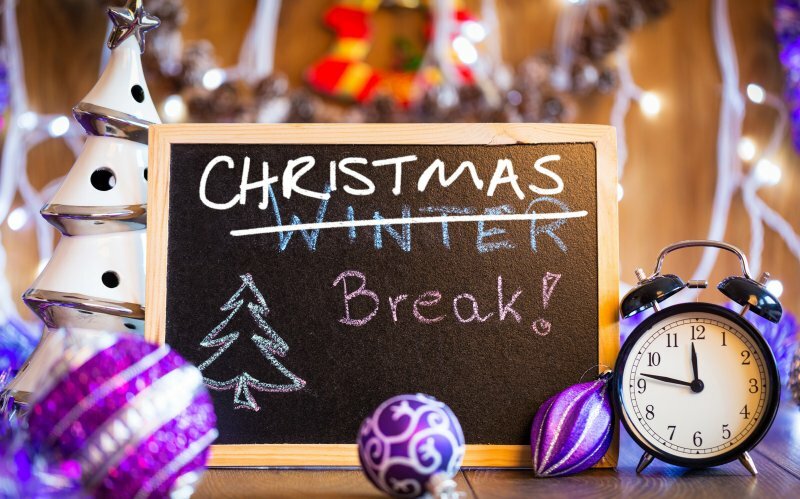 What made this event noteworthy was that the school district made the change to “Winter Break” years ago — and little has been said about it since. There is little to support a change and Meyers appeared to be acting out of personal beliefs. Omaha-area atheists, naturally, took offense and exception at the outburst. Once again the will of a singular school superintendent is overtaking a town Christmas tradition. In Marlborough, New Hampshire the town has an annual tradition of lighting a Christmas tree. A local veteran plays Santa and rallies the community every season to attend. When he went to a local school to speak to students he was called and told to remove “Christmas” from the name of the event. John Fletcher, the commander of the American Legion in Marlborough, New Hampshire, wrote an editorial in the local paper after he said the superintendent barred him from promoting the event to students unless he changed the name of the event. Fletcher, who also raises money to buy gifts for children who attend the event, said a few days after Veterans’ Day, Superintendent Robert Malay called him and said Fletcher needed to “revise” a flyer that would be handed out to students. You gotta wonder what Christmas looks like in that town’s schools.